Fuel Express is not affiliated with, nor offers sales or customer service for Fuel Trac fuel credit cards. We are a fleet fuel card provider that is accepted at virtually every gas station in the U.S. including every Fuel Trac gas station location. This page is intended for current or prospective Fuel Express customers to review all of our fleet fuel and gas card acceptance locations. To learn more about our fleet fueling services, please contact us or apply for a fuel card from Fuel Express today. 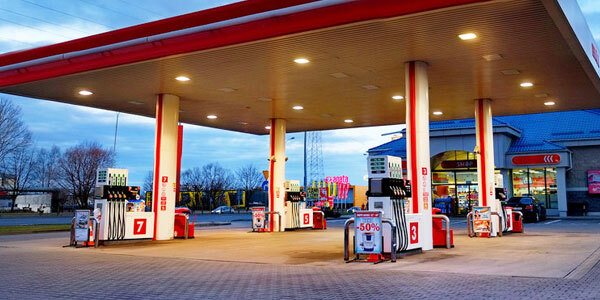 Whether you’re a commercial, corporate, small, or tax exempt business, a fleet gas card from Fuel Express can help. We give you the tools you need to take control of both your drivers and your budget. Our fleet gas card is accepted at every Fuel Trac station in the country, plus more than 230,000 other fuel and maintenance locations. Each card links to an online account that shows you the time, date, and location of each transaction. This lets you monitor what your drivers are up to. You can also use the purchase restrictions and spending limits options to make sure that your drivers don’t overspend or purchase things they shouldn’t. Since our fuel cards offer universal acceptance, your drivers won’t have to drive around looking for an approved location. Instead, they can fill up at the nearest gas station, complete their routes faster, and achieve more per day. This can improve the efficiency of nearly any fleet industry including HVAC, home improvement, pest control, delivery, construction, and more. In addition, with our GPS tracking feature, you can plan out the most efficient routes for your drivers. And with the ability to easily navigate, you can help them avoid traffic congestion, accidents, detours, and more to make sure they stay on schedule. We know fraud detection is important for a fleet. That’s why we implement authorization prompts on each gas card whether you use it at Fuel Trac or anywhere else. When your drivers swipe their card, they’ll have to enter things like their PIN, odometer reading, vehicle/driver ID, and more to protect their account. In addition, we monitor the activity on each card and if we notice anything suspicious, you’ll be notified immediately. If you’re looking to take control of your fleet, let our fleet fuel card help you do it. Give us a call today to learn more about how you can get started.